You guys know that warm and fuzzy feeling you get when the mail comes and you've gotten a package? Let's take our minds there for a minute. Now imagine that said package being a curated subscription box. You're overwhelmed with wonder and mystery because you're not quite sure of the contents just yet. And then you begin tearing away at the casing, searching for something sharp to get into those secured seams. Suddenly, you get a whiff of something warm and sweet, like someone had accidentally placed cake in your parcel. What do you do? You do like me and get into that box with the quickness! I recently received The NEW Artisan Love Box and this was my exact response to the arrival of the box. And the same intrigued, excited, then pleasantly satisfied feel I had when opening the contents has been my experience in trying the products. 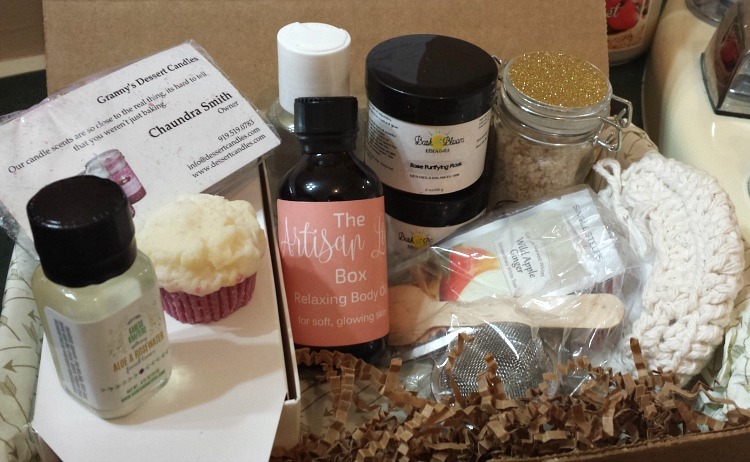 The Artisan Love Box is a curated subscription box created by handmade business owners Jarmelia Ladson and Candera Thompson, featuring a quality selection of beauty + body care products. The cool thing about the Artisan Love Box is that each item included is handmade, toxic-free, and made by women with your wellness in mind. This box includes everything you could possibly need for your personal spa night. Pampering yourself with quality products never felt (or smelled) so good! Let me give you a brief intro of each item I received in my Artisan Love Box below. First up are the goodies from Bask & Bloom Essentials. 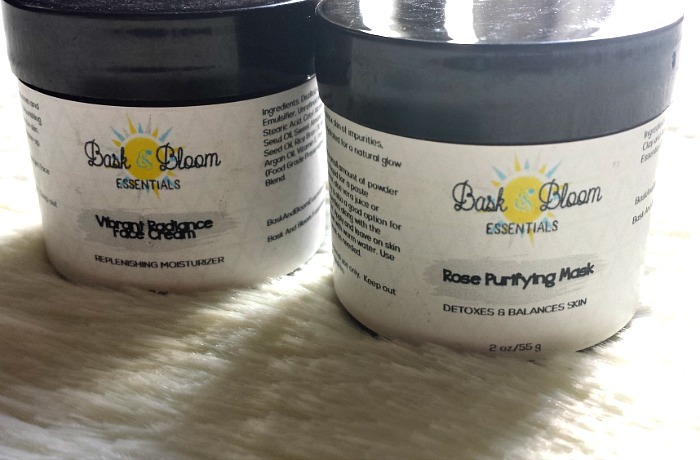 The Rose Purifying Mask is a blend of clay and essential oil that you add to your choice of liquid (water, aloe vera juice, or green tea for example) to create a fresh mask with each use. It's the facial detox you need to rid your skin of impurities and let that glow come through! The Vibrant Radiance Face Cream is a soft, sweet, naturally scented replenishing moisturizer that can be used day and night. 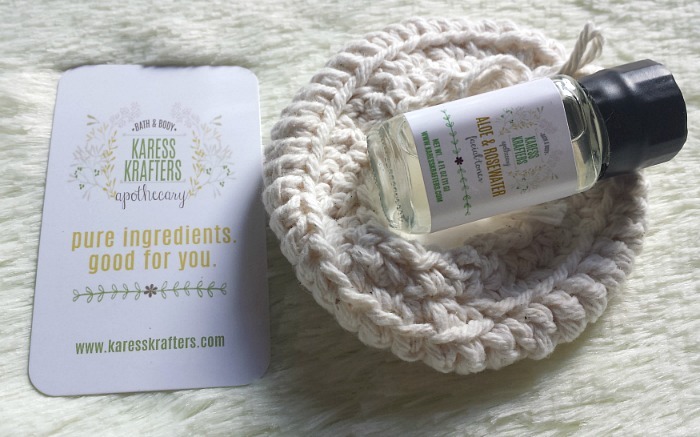 If you're like me and prefer adding a toner to your daily skin care, the Karess Krafters Apothecary Aloe & Rosewater Facial Toner fits into the mix perfectly. After cleansing and before moisturizing, saturate a cotton pad with this facial toner and apply to keep your skin's pH levels balanced. 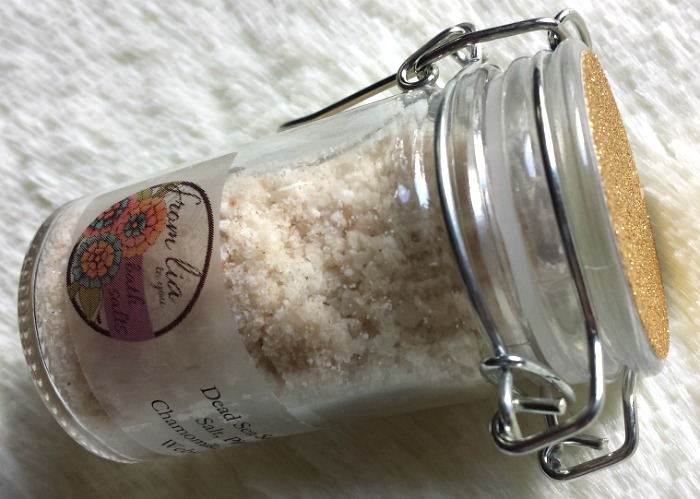 Now these From Lia Relaxing Bath Salts are everything! Add these into the warm water as you draw your bath and see how fast the heavenly scent lures you in! What soothing bath would be complete without body wash and body oil? 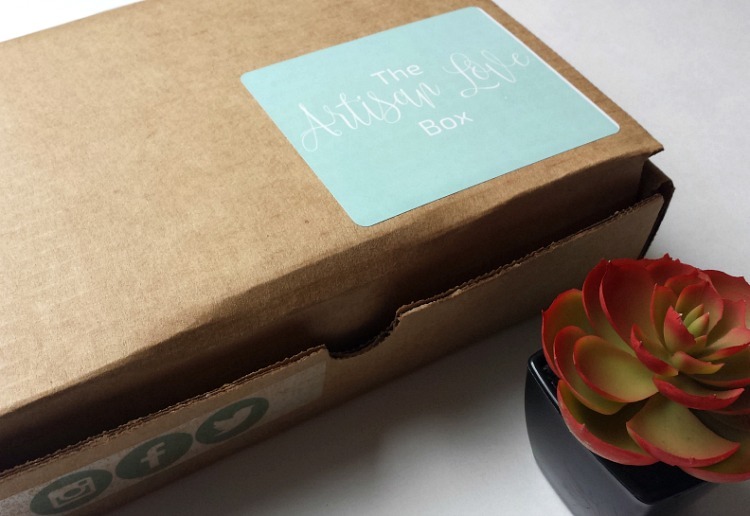 No worries, as this month's Artisan Love Box has you covered! The Elle Skin Care Co. Gentle Body Wash is vegan, and does a good job of getting your skin squeaky clean without the harsh ingredients. 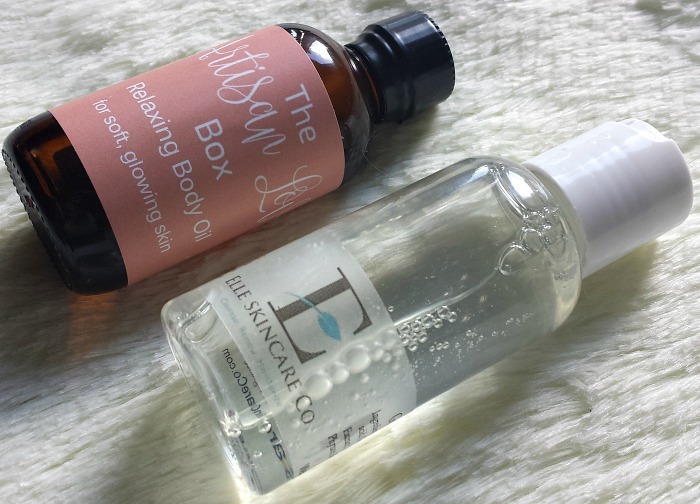 Following up with The Artisan Love Box Relaxing Body Oil is sure to keep your skin nice and soft. But wait, there's more! 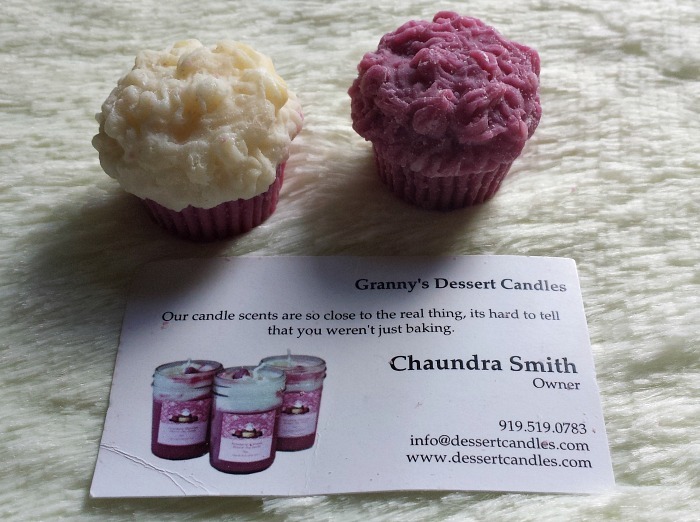 This month's box came with Granny's Dessert Candles Wax Melts. If you know me, you know I need candles and wax melts during my wind down time. And these smell so deliciously decadent, you'll think someone is up in the kitchen baking strawberry shortcake! 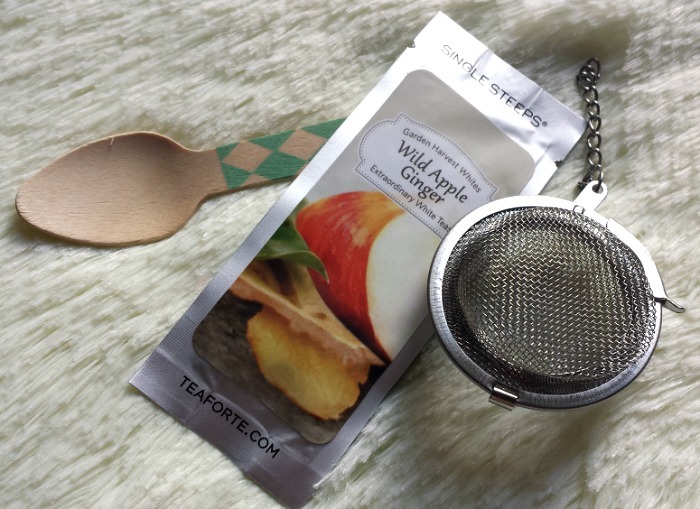 And for the icing on the cake--- The Artisan Love Box also included this Wild Apple Ginger Tea (along with Honua Honey stick that is not pictured). If you got a sweet tooth from the scent of the wax melts, hopefully this loose tea for one will satisfy and calm you. Thank you so much to the creators of The Artisan Love Box, Jarmelia and Candera, for bringing toxic-free beauty + body care to my doorstep! Much love and appreciation to the artisans and handmade businesses that are a part of this vision, as well. Ladies, if you have not taken the time to give yourself some TLC, I urge you to do so today. And if you're looking to show love and support to artisans that create quality products for us, check out this monthly subscription box by visiting www.artisanlovebox.com. Be sure to use code FIVEOFF to receive a discount on your first box. What do you do to wind down and relax?